Good news for home theater enthusiasts who are short on “home”. 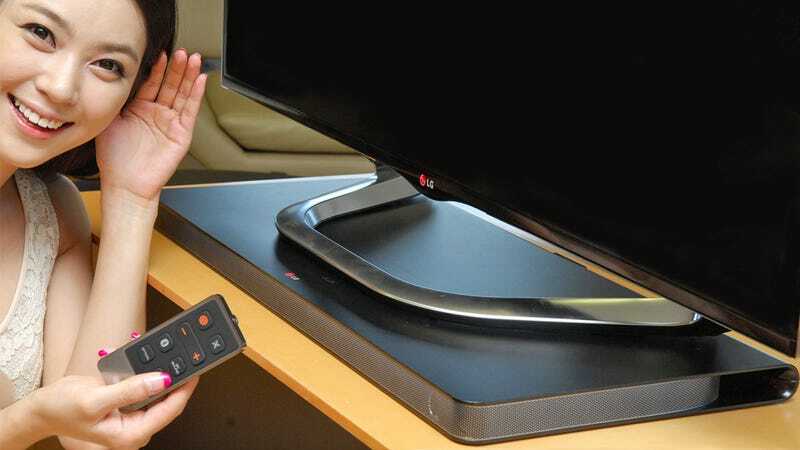 LG's new Sound Plate speaker looks to be a super simple solution for those wanting to boost their TV's sound, without having to fill their tiny apartment with a mountain of audio gear. The Sound Plate is 35mm high and is designed to hide underneath a flat-screen TV up to 55-inches in size. Anything larger and presumably the base will be too wide, and the TV too heavy. The speaker doesn't give you full 5.1 surround sound—just 4.1—but it does include a pair of built-in subwoofers that can easily fill a room with sound.